The Mark Lay Foundation won the Fundraising category at the Crawley Community Awards on March 6 after receiving nominations from across the community. Tom Lay, son to Mark Lay and co-founder and volunteer executive at the foundation, said: “Being nominated for the award in the first place was a huge highlight for us all at the foundation. When we were then announced as winners it was a massive moment for us all. “Dad was a huge believer in community and fundraising and he’d be in complete shock to know that his legacy is positively impacting families like his own, whilst also supporting beneficiaries that meant so much to him." The foundation aims to support family by providing financial grants to families unable to take a holiday or short break. Tom continued: “Losing dad at such a young age, 46, was a huge shock to our little family. He’d achieved so much in his life through the family he raised with our mum, Tricia, and through his fundraising. When he passed away we couldn’t think of more fitting way to pave his legacy than to do what he did so well; bring people together and make a difference." The charity said that support through their first year had been 'mind-blowing' as it raised more that £54,000 in its first year. The money allowed the foundation to support its first two families through its grant scheme. Beneficiaries of the charity, St Catherine's Hospice, Macmillan Cancer Support, and St Wilfrid's Hospice, were all handed cheques for £6,631.66 on Friday (March 29). Volunteer fundraising manager, Adam Lay, said: "What we achieved in 2018 hugely exceeded our expectations and for this we are extremely proud and grateful. We could not have done this without our unbelievable supporters, we thank them from the bottom of our hearts. "But we do not want to stop here. Our aim and our purpose remain the same. We want to ease the lives of families faced with the cruelty and heart break of living with cancer." Part of the team at the Mark Lay Foundation. 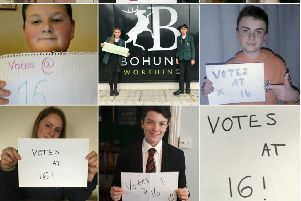 Should 16 and 17 year olds be allowed to vote? 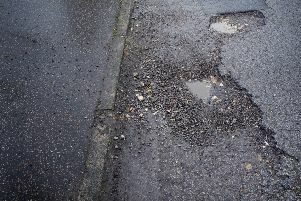 West Sussex County Council think they should. St Wilfrid's Hospice being awarded their grant by Adam, Trish, Jo, and Tom.